The annual Aga Khan Foundation (AKF) USA Walk-Run was scheduled to be held at the Santa Monica Pier on Sunday, November 11, 2018. 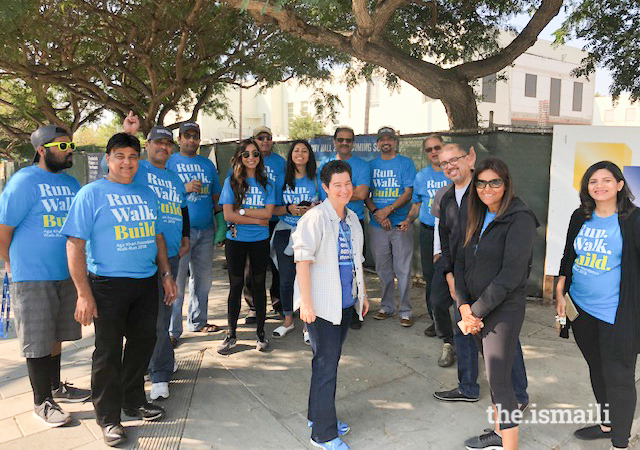 As in prior years on this day, walk organizers envisioned residents of Southern California would participate in the event to learn about AKF programs worldwide, and invest in long-term solutions to improve the quality of life for global communities. Assistant City Manager and Chief Operating Officer of the City of Santa Monica, Katie Lichtig, thanking the volunteers who donated supplies to the Santa Monica Police Department. Expected attendees included civic leaders from the City of Santa Monica, the Consul Generals of Pakistan, Indonesia, and Ecuador. Mahira Khan, a Pakistani actress, was also amongst the celebrities who had confirmed attendance to support the AKF-USA Walk-Run. Little did the volunteers and attendees know that as they prepared for the event, nature was going to interfere with their plans. On Thursday, November 8, 2018, the Woolsey fire began during a day of hot, dry, and windy weather in Ventura and Los Angeles counties. The next day, the authorities announced that a quarter of a million people were under mandatory evacuation orders as the wind-whipped flames raged through scenic areas west of Los Angeles and burned relentlessly towards the ocean, covering much of the area, and even where some Jamati members lived. 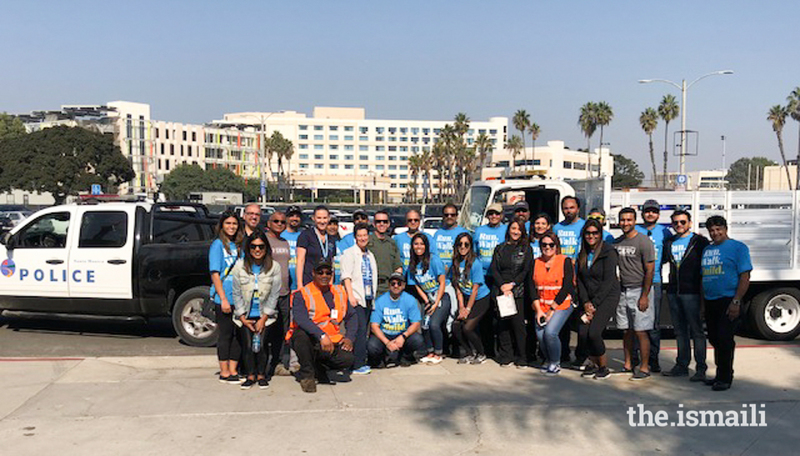 Due to poor air quality caused by the fires, and based on the Public Health Department’s advisory to remain indoors, AKF leadership decided to postpone the Santa Monica 2018 AKF Walk-Run. Given that the goal and mission of AKF is to improve the quality of life of worldwide communities, supporters, and civic leaders within the community recognized the need for continuous support given to the foundation. AKF volunteers decided to support the authorities trying to contain fires during this devastating time. AKF-USA and I-CERV volunteers donated 2000 water bottles, 600 sports drinks, and 600 hot meals to the Santa Monica Police Department. AKF and I-CERV volunteers with the Santa Monica Police Dept. At the end of the day, although the Walk-Run was postponed, volunteers stepped up and provided much needed assistance to the local community’s first responders who were working night and day to fight the fires and evacuate residents. They hoped that residents would experience minimal damage and would all be safe.